Smooth Foundation Provides complete coverage, but feels like it’s not a primer. With a high-resolution pigment, the coverage is impeccable. Comes with the ability to adjust the color. 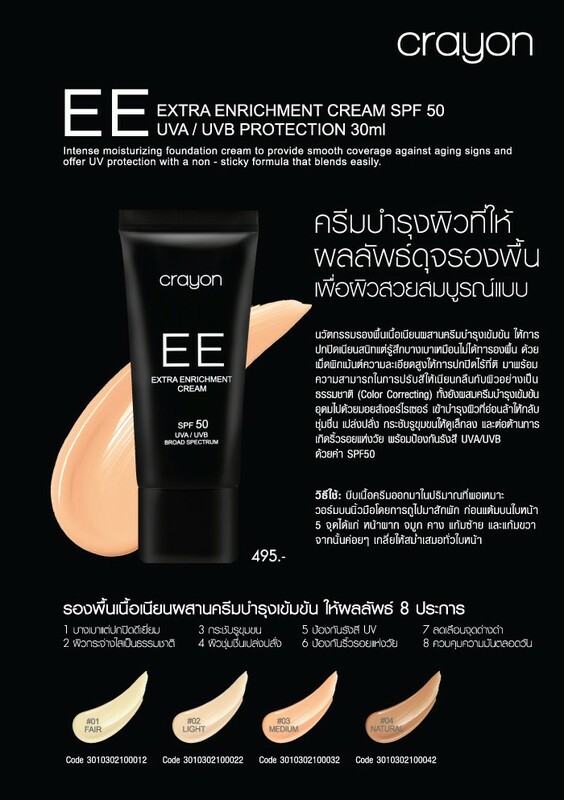 To smooth the skin with a natural (Color Correcting) as well as a concentrated moisturizing cream rich in moisturizer. The skin is tired to restore moisture, tighten pores to look smaller. And anti-aging.